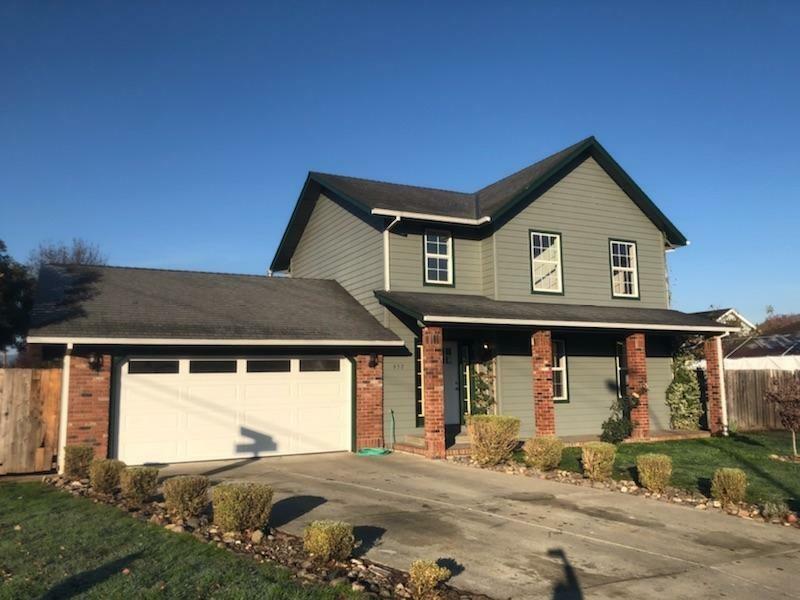 Great opportunity to live in town and very close to one of the newer elementary schools as well as just a short distance to the Rogue River and the All Sports Park. This three bedroom, two and a half bath home is ready, willing and able for it's next owner! With over 1400 sq ft. of living space we have this priced to sell quickly. Large side yard and RV parking. New interior paint, new carpet and doors. Attached two car garage and a bigger corner lot. Home was built in 1996 and has a very welcoming front porch. All information is deemed reliable but not verified; anyone considering purchasing this property should perform their own investigation into the uses and condition of the property. Directions: on corner of Bridge St and SW Leonard St.